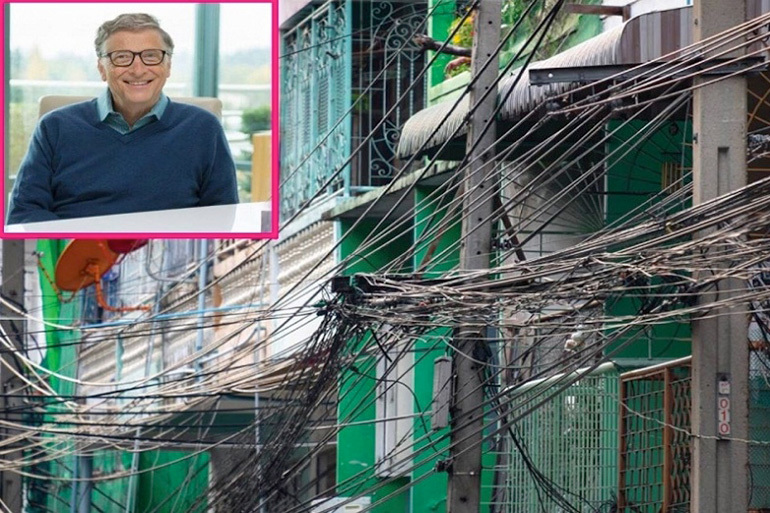 Microsoft mogul Bill Gates has spoken out about Thailand’s poor electrical system and frequent power cuts. 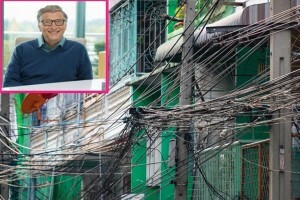 And he even posted one of his holiday snaps in the kingdom – a tangled mess of wires that is a familiar sight for residents in most Thai cities, reported Daily News. But some were cross with his claim that suggested people in Thailand were stealing power from the grid. The joint founder of Microsoft was commenting for followers on his Facebook fan page. “Due to faulty infrastructure, many urban areas suffer from frequent blackouts and power cuts, and the electrical grid often doesn’t serve the people who need it most.” he said. Others just poked fun at the American billionaire saying that the Thai electrical systems worked as well as his Windows 10 operating system. Hanging wires in the news again – who could put up with this?